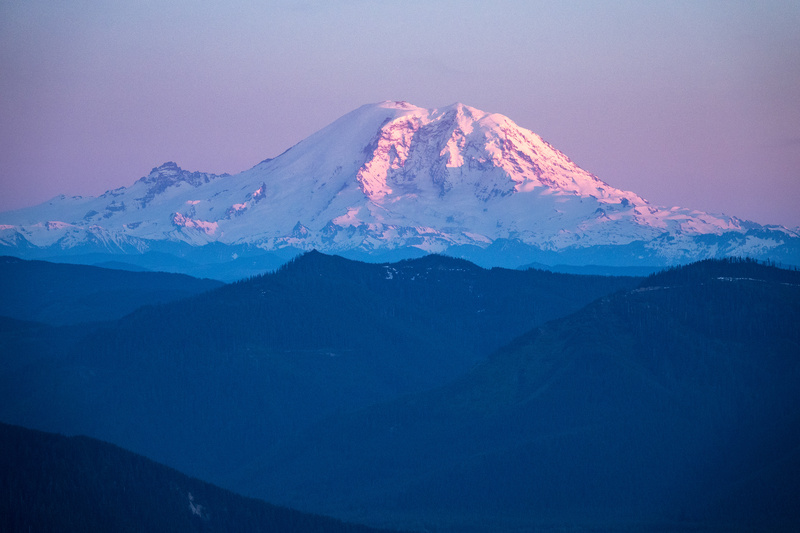 Mount Rainier, captured from the trail up Mount Teneriffe, near North Bend in Washington State. ~200mm (equivalent), ISO 800. Still another 2 miles to go until lunch, and another 400mm to go before the RX10 III's maximum telephoto setting. Sony's new Cyber-shot RX10 III might look a lot like the older RX10 II, but its lens is really something else. With an effective focal range of 24-600mm, the RX10 III is one of the most versatile cameras we've ever used. But focal range is only part of the story - it's optical quality that impresses us most. And boy, are we impressed. Caveat: This is not a review, nor is it sponsored content. This is a shooting experience based largely on a single day of picture-taking, during a hike. Four miles up a mountain in the sunshine, four miles down in the dark. One memory card half-filled, one battery half-emptied. All shots were processed 'to taste' from Raw and all are un-cropped. Your mileage (both literal and figurative) may vary. I've been searching for the ideal hiking camera for years. Since I moved to the Pacific Northwest I've tried and rejected DSLRs, fixed-lens primes, travel zooms, super-zooms and several iPhones. Recently, I've been packing my Ricoh GR II for its small size and sharp lens, but the lack of a viewfinder really limits its usefulness in some conditions. 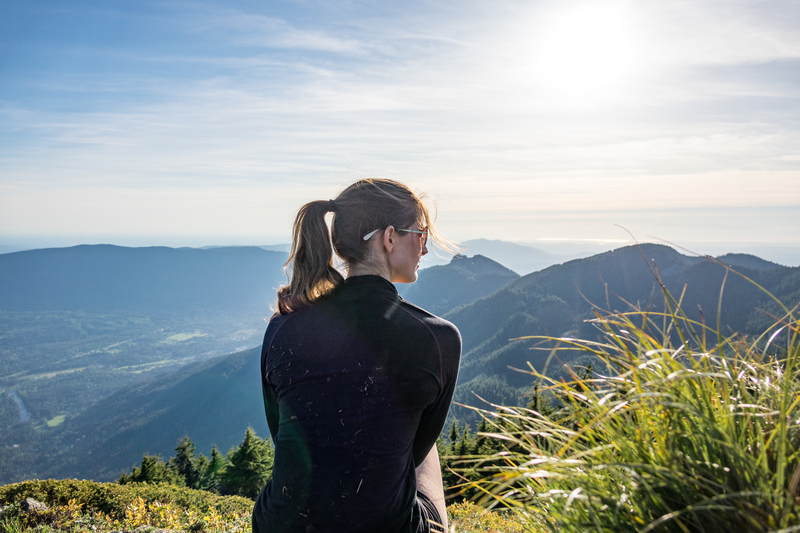 The last time I brought a DSLR on a mountain hike I almost left it tucked under a rock on the trail, rather than drag it all the way up (that was the old, famously brutal Mailbox Peak trail, for any PNW natives reading this...). Pretty good flare performance, considering the complex lens. This shot was slightly adjusted in ACR to bring out a little detail in the shadows. 24mm equivalent, ISO 100. It's been a few years since I experimented with a superzoom compact camera, after a couple of bad experiences with sub-par lens performance. I've always liked the idea of them, but all too often I've been disappointed by the results in practice. These days, though, as my colleague Jeff likes to remind me, the good ones are actually pretty good. We knew the sensor is good from our experience of using the RX100 IV, but the Sony Cyber-shot RX10 III's major selling point is its lens. And the lens in the RX10 III is, as far as I can tell, made of magic. I genuinely have no idea how Sony's engineers packed a 24-600mm equivalent lens of such high quality into a camera this small. It defies all reason. From wide-angle all the way to extreme telephoto, the RX10 III's lens delivers impressive results. Weirdly impressive. 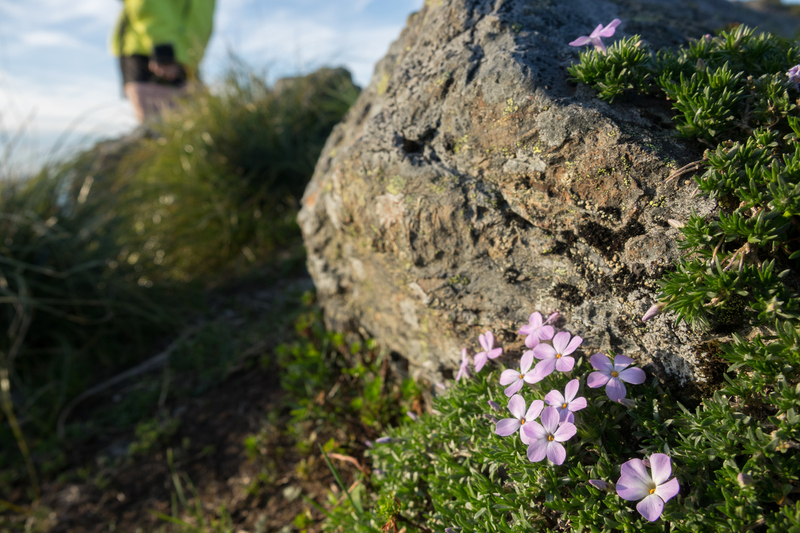 As well as distant details, the RX10 III is capable of capturing sharp images of tiny things, very close to the camera. Like these wildflowers. 24mm equivalent, ISO 100. Now, obviously I could take technically better shots with a DSLR and a fast zoom, or for that matter a prime lens compact like the GR II. Portraits with shallower depth of field, landscapes with critically better edge-to-edge sharpness and all the rest. But this past weekend a DSLR was out of the question. If I'm hiking up a mountain in 80+ degree weather, I'm traveling as light as possible. Most of the weight on my back this weekend was drinking water, and although it's a fairly chunky camera, the RX10 III was light enough to clip onto the shoulder strap of my backpack with one of these, without me noticing the weight too much over a seven-hour hike. 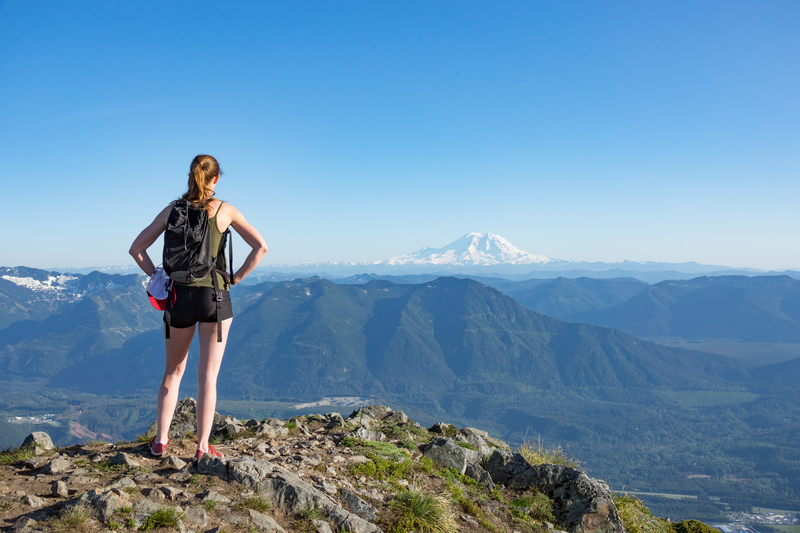 Mount Teneriffe on a hot day is a pretty demanding hike, but the view from the top makes it worthwhile. 40mm equivalent, at ISO 100. 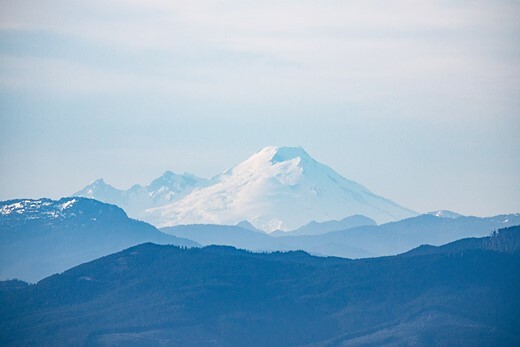 The Ricoh GR II is lovely, but I knew that from Mount Teneriffe we'd be looking at three peaks - Mount Rainier, Mount Baker, and Glacier Peak, as well as Mount Si and Mailbox, a little closer at hand. So 28mm just wasn't going to do the job. We timed our hike so that the sun would be go down shortly after we summited, and I knew that I wanted a nice, closeup (ish) shot of Mount Rainier's famous purple glow (see the picture at the top of this page). Exposed for the highlights, it was easy to brighten shadow areas in this shot using Adobe Camera Raw. 24mm, ISO 100. You can't really see here, but just where the blade of grass meets the horizon to the right of my subject, is Seattle's distinctive skyline. See below for a shot taken from the same vantage point at 600mm. A lot of the prejudice about long zoom compact cameras comes from a misunderstanding of how to interpret their lens performance, especially at the long end. Atmospheric distortion and haze from moisture, pollen and pollutants will reduce the sharpness of any telephoto lens, especially on warm days. So if your telephoto shots look like they were taken through a frosted bathroom window, the lens might not be the culprit. On the other hand, if everything in your pictures looks like someone went over the edges with a magenta highlighter pen - well, that's the lens. 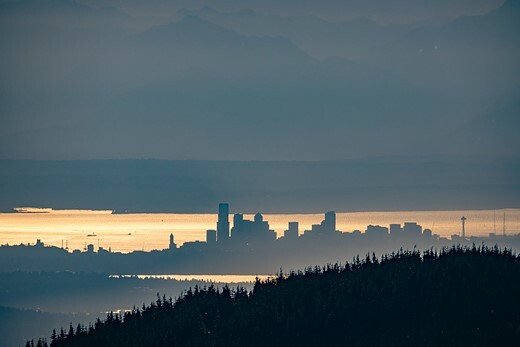 Seattle at sunset, from almost 40 miles away. 600mm equivalent, at ISO 100. Moderate 'dehaze' applied in Adobe Camera Raw. I had no such issues with the RX10 III (which was reassuring, since it costs $1500) but as always, I was shooting Raw, so what little fringing I did see in my images was easy to correct. Likewise, Photoshop's 'dehaze' control in Camera Raw came in very useful to bring back some clarity to images taken at the telephoto end of the RX10 III's lens. Mount Baker, seen through more than 90 miles of pollen-laden air, just before sunset. This shot didn't require quite so much dehazing as the last one. 600mm equivalent, ISO 250. During a day's shooting during which my hiking partner and I walked a roundtrip of about 13 miles up and down a 4500ft peak, the RX10 III nailed virtually every shot. And that's everything from a knee-level picture of some tiny wildflowers a few centimeters away from the lens, to a 600mm capture of Mount Baker, 90 miles away from my vantage point and half lost in haze (above). We hiked about half of the trail back to the car in the dark. For the last half mile we were accompanied by an owl. 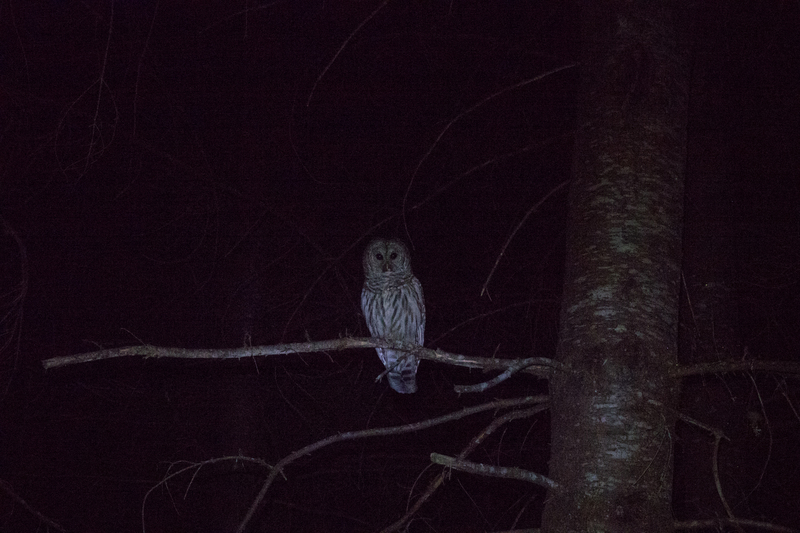 This grab shot was taken at ISO 12,800, by the light of our headlamps. At 95mm equivalent, there's no motion blur at 1/15sec. From these sunset landscapes to ISO 12,800 snapshots of an owl that followed us back to our car at the trailhead, every time I looked at something and went 'oooh' and tried to take a picture of it, the RX10 III - and its insanely wide-ranging lens - got me the shot that I wanted. Hiking through the forest just before sunset. 50mm equivalent at ISO 6400. We're working on a more scientific assessment of the RX10 III's lens right now, but in the meantime, I hope you enjoy our updated samples gallery (now with Raw files!). I've only been using the RX10 III for a few days, and I haven't even shot a second of video yet. There are plenty of things I don't like about it, too (confusing menus, clunky ergonomics, no touchscreen, laggy GUI, the aluminum zoom and focus rings scratch the minute you look at them) but somehow, despite all that, I'm already planning next week's hike. No GPS -> Not a travel camera. Next. No, I don't want to count on my phone and have to sync location later, this is absurd. For the same amount of money (1.600 euro), someone can either buy the Canon EOS 80D (1.200 euro) or even better the Nikon D7200 (1.000 euro) with the Nikon MB-D15 battery grip (300 euro) attached, paired with the Sigma EX 17-50mm f/2.8 DC OS HSM (350 euro). Both feature much larger APS-C size sensors with higher resolution (24MP) in comparison to the 1" 20MP sensor of the Sony Cyber-shot DSC-RX10 III, which in addition offer much better image quality, color depth, dynamic range & low-light ISO performance. Furthermore, both the Canon EOS 80D & the Nikon D7200 offer wider native ISO range, better AF tracking, optical pentaprism viewfinders with 100% coverage & higher magnification in comparison to the Sony Cyber-shot DSC-RX10 III, 1/8.000 maximum mechanical shutter speed, 1/250 sec. flash X sync speed & finally more than double battery life, which can be further extended up to four times the battery life of the Sony Cyber-shot DSC-RX10 III with the use of battery grips. I purchased the RX10-iii to bring on my first safari to Tanzania. My last "travel camera" was a Nikon p510. I loved the zoom but found the images a little "meh". Being a "bucket list" trip, I wanted to upgrade for Africa . I am dead set against toting a DSLR and likely 99% of my photos will be viewed on a monitor or digital frame but I do enjoy post processing and was looking forward to a camera with RAW support. 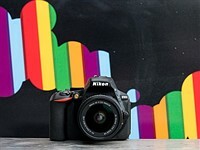 I had originally planned on the Nikon DL24-500 as an option with a good value to feature ratio - but with the earthquake and production issues, I don't think it will be released in time....so I sucked it up and spent the extra $500 for the Sony and now I am having a bit of buyers remorse. Should I just get the Nikon p900 instead? I know overall it is not as good - but will I care? Will the zoom on safari be enough to make up for the other defects? I could even get a RX100 & the P900 for the price difference I think. Not looking for a war, just some constructive opinions. Just returned from Tanzania, using my first real camera - the RX10 I.
I'm obviously new here, but some thoughts: The RX10 was a great choice for me - I shot mostly in manual, and the ability to do that reasonably well required a few weeks of practice and reading beforehand. A DSLR would've added a complexity I didn't need this time out. The RX10 is also weather-sealed; it sure got dusty out there. If you think you need a DSLR for your safari, I strongly recommend a rustproof one. I got some fantastic pictures with this camera. The 200mm zoom was absolutely essential, and I often pined for the extra reach of the RX10 III. I think the RX lens is a lot better than the p900, so that was an easy choice. On my next safari, I'll have a better camera. And now that I'm taking photography classes, it might be a DSLR. 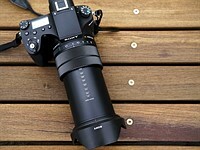 Or it might be a Black Friday RX10-III. You can't beat the convenience of the RX, and whether you can beat the image quality may depend on your skill as a photographer. For a lot less money you can get the Panasonic FZ-300 with 24-600mm at f2.8 through the range. It focuses as close as 1cm with great sharpness. I had the FZ-200 until it refused to accept the close focusing button push. I almost never take my D810 outside because of the weight, thus the do everything Panasonic works well. It has a HD video capability and WiFi - Bluetooth file transfer as well. My son has the Nikon D900 but occasionally misses the no RAW file. Barney, I'm a current FZ1000 user, got it for the obvious, 4K Video, large sensor, 400 mm zoom, excellent EVF. Do a lot of long rang birding and landscape both for work and fun, and hiking in the Rainforest. Use the Video and the Photo capabilities an equal amount. My only complaints have been worries about weatherproof ( lots of humidity and seasonal rain ) and times that I wished I had more then the 400 mm, even with various iZoom etc. I am assuming you have used the FZ1000 as well. Considering an adapter to do digiscoping for long long range. 3. In practice, do you think it really will be more weatherproof? 4. Any 4k Video comparison? 5. 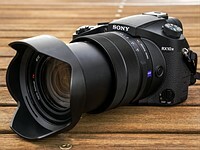 Do you see a head to head comparison of the RX10 III / FZ1000 soon? 6. Do the little rumor birds tell you an upgrade from Pana is coming to counter the RX10 III, and when? So does this camera have manual zoom or just the typical electronic zoom via the shutter button? Electronic zoom, available via the zoom rocker switch around the shutter release and also from the ring around the lens. Eta on full review of the Sony RX10M3? ps: Is raw that much better since it's Only 1 inch sensor @Barney? raw is always better for image quality purposes, even these lossy Sony raws. and Sony is not known for strong jpegs, unlike say Fuji. 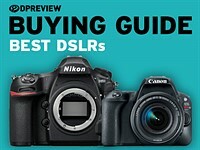 DPReview, when will you guys come up with a detail review of the Nikon equivalents? I mean the DL series, DL24-500 especially. The DL compact have been delayed, and we currently have no idea when production samples will ship or become available for review. I hiked the PAcific Crest Trail in 2012 and a lot of smaller hikes in my lifetime. This camera is definately too heavy for any ambitious hiking. I know many hikers and mountaineers carrying 'pro' DSLRs that would dissagree with that statement. I agree though, that for the casual photographer, especially if you maybe aren't at peak fitness, it might be a bit too much weight to dedicate. I suspect the Nikon DL24-500 will be a bit of a better match when it comes out for those who want this style camera. Well, pro DSLRs have been carried to the top of Everest. That still doesn't make it an 'optimum' for hiking/mountaineering. I've participated at an expedition whre the mountain guide did not permit carrying a dslr due to safety reasons for the team who are all tied to the same rope...and added weight. It depends on the balance of fitness and how much you care about image quality etc. Many people would consider a pro DSLR optimum because it has the image quality they want in a package that is still manageable. I've been a mountain guide, have carried a large mirrorless camera whilst guiding and never told anyone on my rope whether or not they could take a certain type of camera. I'd tell them to not try and take photos whilst moving, and made sure they knew if it went tumbling down a crevasse it wasn't my problem, but when you have three, eleven stone men on a rope, the weight of a camera is going to make no difference. I myself also have guide license and I see a lot of problems if one member of a rope team brings a dslr (or similar), while others just want to climb. It means, that you have to stop the team to take a picture as it can obly really be carried inside the backpack. You can't take full advantage of a dslr while rigged into a rope team, really. In fact, it limits your photography to safe sections or breaks. It may be a different story if all rope team members want to focus on photography while climbung. And, for long distance hiking there is no chance whatsoever for any camera above 500g. That's why I said I told them to not try and take images whilst moving. We never stopped for photographic purposes, but the points we did stop at were normally lovely and picturesque and those with cameras got lovely photos. Those with DSLRs naturally had higher quality ones. Even if someone had a compact I'd tell them to not take pictures whilst moving on the rope, so their photography was just as limited. For long distance hiking I've carried cameras well over 500g. As said previously, it's all a balance of fitness and desire for better image quality. For some people a compact is ideal. For others the balance is different and something else is ideal (for me it's a mirrorless with a few lenses). It's why it's so wonderful there's such a variety of cameras out there. Then this depends on your policy. It's easier to stop a rope team to take an image with a pocketable camera rather than a DSLR. So advising not to use pocketables even though it would be perfevtly possible is your choice. It is quite obvious that you can not stop the team at some very epic sites in mountaineering while smaller cameras can still take stunning images from those places. the difference is how the cameras are to be carried and/or stowed and certainly the weight. I would consider a A6300 as an interesting balance even though its alo on the heavy side. It's possible to stop a rope team to use a DSLR. Many people are comfortable carrying them in hip bags etc and this is perfectly safe on all but the most technical terrain. I in principle have no disagreement with most of what you say, it's just the generalisations you use. For many people I've personally known a DSLR isn't too heavy for any mountain activity, short of maybe trying to onsite a 8b. IMO when it comes to where you can take photos in the mountains small cameras carry no advantage, unless that's all you're fit enough to carry. I hiked and canoed through the jungles,swamps and mountains in PNG and West Papua for 4 1/2 months with all the gear. 90% of my favourite images were taken with a Nikon p7000, it could have captured of half the rest at the relative IQ cost. The dslr couldn't have taken any of the shots recorded on the p&s due to lack of immediate availability. I learnt a huge lesson in the need for compromise. That just comes down to a case of how accessible you're willing to have your DSLR. Sometimes when I'm doing outdoorsy stuff I'll have it in my bag, sometimes I'll have it strapped to the outside of my bag. Sure a compact camera is normally easier to have in an accessible position. That isn't what this discussion was originally about though, it was merely that the RX10 III is by no means to heavy by many peoples standards for use when hiking or doing virtually any sort of outdoor activity. I'm not sure how it got so off topic. I know people with smaller cameras often feel the need to defend their merits because they so clearly loose out on IQ, and they do have many merits, but if you're willing to carry them cameras like the RX10 III are ideal for activities such as shown in this set of images. A Peak Design camera clip takes care of the problem of having your DSLR available while hiking or more specifically on a rope team. I do serious mountain climbs in Colorado on loose terrain with my DSLR often and have no issues getting it out to take pictures. Being on a rope team would be no different. If a guide would have an issue with it that's ignorance more than an actual problem. You could aswell say it's ignorance if you ignore that smaller cameras have good sensors too perfectly suitable for the job with a huge handling advantage in this scenario. But I accept that there are different takes on this. I don't think anyone has said small cameras don't have good sensors. They can be suitable for "the job" for some people, but for others they simply aren't. It's a trade off, but saying that larger cameras are unsuitable for hiking and outdoor activities simply because you personally aren't willing to carry one is a fallacy. As a guide I have issue with people using cameras on a rope team purely because I don't trust random strangers to be able to take a photo and pay attention to where they're putting their feet at the same time. I have no problem with one of them whacking out a large format field camera at a break stop though if they so desire. I'm not judging anyone. Willingness is not meant as a derogatory term. Let's not be patronising, how about that? I was merely saying he shouldn't publicly announce that a camera is unsuitable for an activity just because it may be outside of his experience. I believe I reflected quite well. Great sensors also fit into lighter cameras. Weight is definately a big topic in climbing & hiking. No way around that. I did say, I accept other takes on this, meaning other peoples' priorities. But 1Kg of weight is not the 'ideal' hiking camera generally. Can't change my view on that, sorry. In fact I don't want to be limited in my perspective any longer. You guys just convinced me. Carrying this 1Kg camera is the ultimate choice for hiking. Why? Because it is a matter of fitness anyway. And it will be easily available. You can just hang it around your hip belt, no problem on a hike. nd, when you want to take an image it is very likely that this happens to be the break spot anyway. Your images will be Way better compared to a smallish camera with their low image qualiy. now I take a hike. Why do people get so stressed online? For me the ideal camera setup for hiking is around a kilo. It's a GH camera, with a 12-35mm and a prime. It's weather sealed, awesome handling, even with gloves on, and the ability to change lenses to a bright prime for around camp at night. I've never missed a photo because I've had it over a compact. Yes, it often lives on my hip-belt, with a leash going up to my shoulder strap. I trust myself to drop it a lot less than a small soap bar compact so I get it out in possibly even more situations. But noooo, I must be wrong. Someone online says any camera like this is just too heavy for an ambitious hiker. All the guiding I did in the alps was just not ambitious enough. I need to up my game and the only way I'm going to manage that is with a smaller camera. Yes, smaller cameras can be nice for some people, but don't go making it sound like larger ones aren't ideal for some people just because you don't like them. Supersport my comment was not directed at you. I consider it laughable that a single option would be pushed as a viable solution to every problem by merely adding grunt. I'm confused as to what exactly your trying to say to who Rouse? Not for me. I've hiked with heavier lens/camera combos. It looks to me as though every photo in this article about the Sony Cyber-shot was overexposed. You are right, seems that the photographers are not aware of the basic exposure compensation rules: +1 to +2 on the snow, minus 1 to 2 in tee forest or wherever you have darks, like mountains behind. In this picture "DSC00697-ACR.jpeg" (where the lady is standing on left and Mount Teneriffe in the distance), there is noticeable noise in the blue sky, which is quite unusual for ISO100 on such a bright scene. I was looking for a good bridge to replace my old Finepix HS20 EXR that I use during my outdoor activities (when I prefer don't use my DSLR) and I was sincerely interested to that Sony because of its bigger sensor, because my actual camera have a lot of noise @100 ISO. But looking on posted samples I'm disappointed to see that also this Sony gets some visible noise @100 ISO sensitivity. 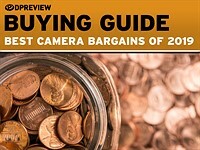 Sure, it's better than my camera, but is it so better to justify that expensive change ? 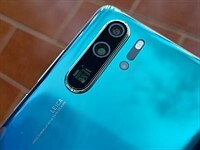 So, that camera is probably great, but my question is : Is there an all-in-one camera that don't produces a visible noise at the lowest sensitivity ? 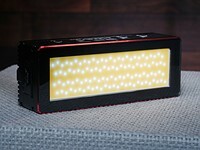 keep in mind that this sensor outpout 20mp images. If you look for noise at 100% on screen, you are magnifying it. Try to export a 16mp to compare apple to apple. Or even less if you don't print big. 3) My expectations is to have a very low noise level in case of well exposed photos at 100ISO , considering it's a 1400$ - 1200€ camera. I would not worry too much about the noise but worry about how well it is removed from raw files in Lightroom. I also remove noise from my D800 images @ 100iso especially when shadows and highlights are pushed. 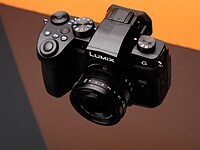 You should compare with the Panasonic FZ1000. It is a l25g lighter @ half the price. 25-400 mm in 3:2 photos but 592mm in 4K video mode. I think there are fewer internal reflections in the Panasonic lens, but somebody would have to make a proper test to verify if that is true. Pin sharp 4K video @ 592mm. I don't see all this good. On that hike a great smartphone camera should have shot the same. nope if you read it, a lot of picture shot @600mm eq. And beside even if your phone support raw i doubt it can lift shadow and handle highlight as much as this. Yeah, you're talking about the worst picture of the whole gallery, those with the "zoom". They seems more tests which went bad rather than usable pictures. mattz10... suppose it depends on what you are using the images for. I'd be plenty happy with those photos to post on my blog or share with the family... if trying to print posters or submit to Natgeo... then.. no. It should have been an interesting test: shooting the same sooooperzoomed picture of mt Rainer with a S7 then crop the picture and compare. Time has changed. I had a compact superzoom at time, as on my username a Panasonic TZ10 which was great. But now, I'm not sure you want a superzoom anymore. What's worst, without built-in GPS. I agree... but again - it depends on your needs. I'm sure most would be happy with those mountain zooms... GPS is nice but it does eat batteries and isn't accurate in some cases. A GPS tracker in your backpack works just as well but does require some auto-software linking during PP to link them up... not ideal ... but... it solves the missing GPS issue cheaply and easily. My tz10 had no battery issue and GPS was enabled. I'm a real long-term user not a "reviewer" (worst an editor!) who is forced to write down something. On TZ10 what was draining the battery was the zoom motor and on/off cycle. Basically: moving the optics. Back to the topic, this "beauty" here is now competing with smartphone camera but is missing GPS built-in geotagging! You took that picture into wood in the middle of nowhere and you don't know where you shoot. I'd better I shoot with my smartphone than with this 1500$ camera. I think they're making it wrong, just my opinion. Yes - I do like having built in GPS but it is not a deal breaker for me. The main reason - most GPS modules in camera take a) forever to acquire satellite and b) are very inaccurate (especially in crowded cities with tall buildings/alleyways). I rather snap a garbage photo on my phone for GPS targeting and just manually apply the info to the images in my DAM. Or - just carry my GPS tracker which lasts 5 days on a charge, acquires the satellite very quickly and has great accuracy... takes a few minutes to auto-link to the photos.. but also has the advantage of tracking paths which your camera GPS doesn't do. Also, it can go with you everywhere and is useful for things like recording your hikes or bike rides... and I can use it with whatever camera I want. Different strokes for different folks I guess... Enjoy! Great piece! I am really eyeing RX-10M3 for hiking too. The sensor does show its limit. But I do shoot more and more video on the road. The reach and video capability of this cam is so enticing. Last time I hiked around Annapurna in Nepal, I brought an RX100 and a DSLR. When I look back at the photos from that trip, almost all daylight photo was taken with the RX and only some night sky series was did with the DSLR. After that trip, I started to leave the DSLR at home more and more when went out for hiking. Using GPS on my iPhone eats up the battery more than any other activity. Try removing the SIM card when hiking and using iPhone as an GPS map / tracker. My 4yr-old iPhone 5 can sustain 2 days of day time tracking (turned off when I reach camp) in this mode. The trick is the phone continuously seeks cell network signal when it tries to locate. When it cannot get a hand-shake with a tower, it boost its radio power hence bleeds the battery. Removing SIM card tells the system to shut down cell network radio. The GPS chip itself is not very power-consuming. Removing the SIM card is not a user option for me because it's sealed in the phone. I use the GPS in areas of good cell service so it does not boost power. Regardless, based on my experience the phone uses up battery power much faster when using gps than when not so I convinced that GPS uses some power, enough to make a difference. To think otherwise is naive. Apart from the extra zoom reach, the FZ1000 still nails it. True, but the Sony has stronger weather sealing. "it's optical" -> "its optical"
Did you notice that this is the 1st bridge cam which has similar DOF/background blur capability as a full frame 70-200 F4 lens...quite cool. The lens here us actually whatever to 225mm in FF term. I thought the 'blue spot' was only a sign of a cheap Booster adapter lens, yet here we are with the very expensive Sony exhibiting this same problem! weighs 1050g, 400g more than my G6/14-140: anyone for 2km vertical in a day wanting to take an extra 400g just for fun ? Speed, stabilisation, 4K and weatherproofing(ish)...? The Hubble Telescope has much longer reach than this camera. ugly flares and abnormal skin tones. Go see your Doctor, doesn't sound good! Shoosh, only reserve criticism for Canon products, you've been warned. Seriously it's pretty bad when they lift the shadows even a little and lens is not that sharp. Reporting a bug: When I get a notification of a reply to a comment made in a news article, clicking on the notification allows me see the place in the news article where the reply is for about 1 second before it closes down to the View Comments button (which seems to be a new feature). Then, when I click the View Comments button, it opens at the top of the comments and I have to hunt down the latest reply. Not sure why the View Comments button was substituted for the comments themselves. Very very nice shots of the scene and the atmosphere. Very good colors and processing. These images have an appeal, I like them a lot! 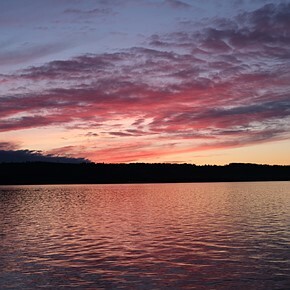 @Barney Britton, thanks for sharing your experience with the Sony cam. 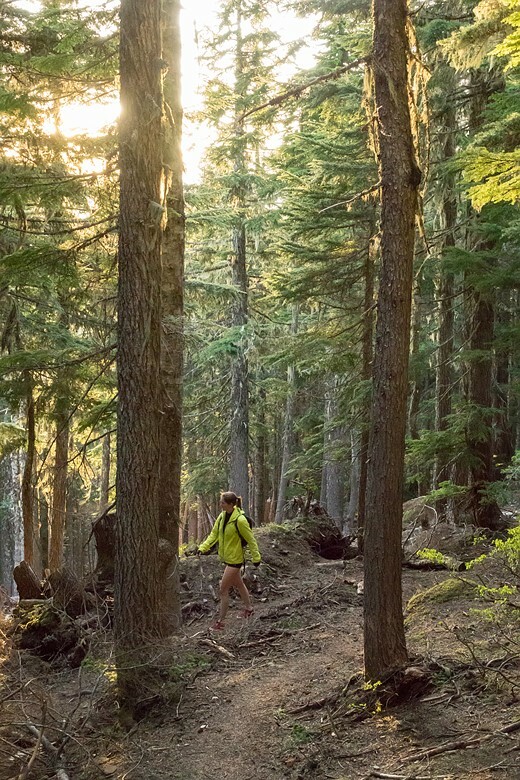 "The last time I brought a DSLR on a mountain hike I almost left it tucked under a rock on the trail, rather than drag it all the way up (that was the old, famously brutal Mailbox Peak trail, for any PNW natives reading this...)." 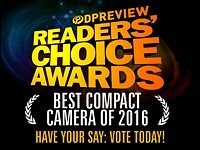 I'd love to hear your opinion on cameras in more compact hiking/outdoor/adventure friendly 500g range and lighter. "Nikon D3300 with 18-200mm lens is 100g lighter than rx10 iii..."
Nikon D3300 is DX , so 200mm should means 300mm equivalent zoom. Anyway, how much frequently you need 600mm telezoom in real use condition ? Except of sports or birdwatching, a zoom with 200 - 300mm is more than sufficient in 99% of the cases. Hey guys: you used "it's" instead of "its" in your opening comments. Come on now. That all-too-common typo is beneath dpreview. No, good writing IS that important. As is good editing. A professional photographer would be ridiculed if they displayed an out of focus photo. Well, once you start getting paid for stringing words together, the level of professionalism absolutely must go up. I've been whipping myself with knives for 3 days - let me know when I can stop. How do you stand it, Barney? 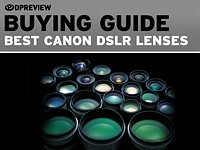 Nice review, nice camera, nice landscapes! Looking at the samples esp those taken at 220mm, the red parrots, don't see much details in the feathers, not surpassing Nikon CX 70-300mm. I must say I´m impressed by the quality/versatility, makes me vacillate between the new Sony 70-300 lens (450 equiv. at the long end and 1200 dollars) and this one though the FF/APSC zoom is looking very good indeed. Reach and practicality vs better IQ. Hmmm.. I just bought the RX10 III and my FZ1000 is on eBay. I like zoos, and I've often found myself butting up against 400mm on the FZ1000. I'm going to Washington in July and I'll be at the Woodland Park Zoo on one day, and I'll be hiking near Mt. Shuksan the next. The incredible versatility of this camera makes it worth the price and extra weight, for me. 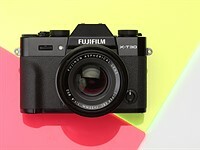 Is this camera so much better than a 1/2" sensor bridge with powerful lens and manual zoom, like the Fuji HS50exr 24-1000mm equivalent, to justify such high price tag ? Or a smaller, lighter and less expensive M4/3 like Panasonic G series or Olympus OMD with 28-300 equivalent telephoto zoom combo ? I waved at you - you didn't see me? This would be a great Himalayan trek camera if it was weather sealed. Perhaps this will happen in version IV. According to the B&H website, this camera is "dust and moisture resistant." It is not "weather sealed," which means one can shoot in the rain or worse. What's your take on the RX10III vs G3X? I'm sure the video is better in Sony but I mostly take stills. I have the original RX10 but the power zoom is agonizingly slow. Is the zoom on the RX10III any faster? Like a lot of viewers I wish these bridge cameras included manual zoom.. much faster and more accurate. The RX10 III's lens is far superior, both because of its faster maximum aperture, and resolving power. Sony added an option in the menu on RX10 II where you can change the speed of the zoom. In the menu it's written as "Zoom speed" and can be set to "normal" or "fast". The RX10 III also has this feature so you can zoom in and out more quickly than the original RX10. Great shots of these wonderful scenes. Unfortunately it's hard to tell the sharpness of this lens given the subject matter. Maybe a few shots of buildings, clock towers or bridges with hard rectangles would help. Since the title includes "The ultimate hiking partner? ", planes, trains & automobiles (and other structures) might have seemed off-topic. Perhaps their next hike could be to the Mach Loop in Wales. Very surprised at the disappointing amount of noise in bright sunlight conditions at ISO 100 and 40mm equiv. 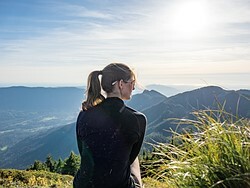 (looking at the 4th, full size, 1:1, image of the female hiker on top of Mount Teneriffe; arms and legs). I pulled the shadows a bit in some images but also all of these shots are Raw files and I don't like doing luminance NR unless I have to. You can download the original files from the gallery and play around with them with your own preferred settings. You can tell where focus was placed. The noise level is basically what we have been seeing on RX100M3 and M4. It is not really surprising. I prefer this type of camera review above all others. Technical reviews are a snooze fest. Thanks for providing the updated samples. Looks like people pics turn out really well! While I enjoy pretty much everything Barney writes, the two serve very different purposes, and complement one another well. Maybe snooze fest was too guttural, as technical reviews are favored by many. 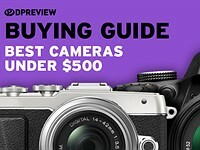 Price points on cameras are high - so it 'pays' to have as many reviews from different perspectives as possible when arriving at a purchase decision! 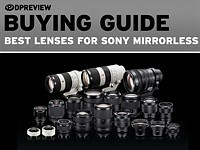 Both types of review are of importance and most welocme, but the Sony trolls get hung up on sensor specs far too often and think DR is all that matters. How on earth did all those other great photos ever get taken in high contrast situations I wonder. It looks really a nice all-round camera, maybe really one of the best for hiking. However I don´t think it is considerably smaller than a (APSC) DSLR with some zoom. 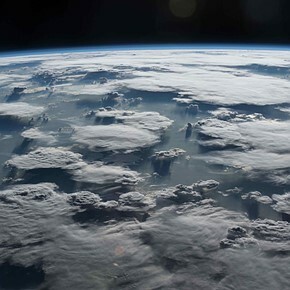 Of course there is no 16-400mm lens for APSC DSLR (Tamron 16-300 is the closest), however I think a crop from APSC sensor might look similar to this 1" full picture, especially concidering the quality downgrade of long distance shots (haze, atmospheric influences). For me personally my 16-85mm lens does 90% of the shots (and it really did on my trip to Iceland last week, the only time I used longer lens was during whale watching). I own the Tamron and it appears this camera is sharper at the long end and it has less CA/PF. I've got to say for the purposes of this article, the FZ1000 - that can be had for less than half the price of the RX10 III now - represents much better value. And I'm saying that as an original RX10 owner. Probably, unless you need 50% more reach. The same people say the same thing whenever the RX10 series come up. FZ1000 doesn't do ANY of the things I own an RX10 II, so it's value is literally zero, for me. If all you care about is sensor size + lens reach, sure, there are similarities. They end pretty quickly afterwards. The FZ1000 has really good af and will shoot action very well. I think it's brilliant. It causes me to leave my serious cameras at home. Maybe but for me the extra 200mm reach is worth the money. I'm sorry I don't work for Apple! And I'm not surprised that Apple Care couldn't help you - that's a warrantee program. Yeah @Barney but surely Apple people who code visit this site? I know Apple Care is warrantee but the girl in the Apple Store didn't even know what a Raw file is ☺️ She transferred me to Apple Care. Apple Care was clueless too 😊 He gave me an 888 # to Olympus. I messaged Olympus visionaries & they said it's not the manufacturers but Adobe & Apple who code the Raw files. How do they code Raw files anyway @Barney? Do they just tweak a JPEG or borrow all these cameras to make Raw work? So @Barney do you or your other reviewers or any1 in here know the email to the Apple coding department? I understand but all I wanted to do is email them why no Pen-F Raw update after 3 months? ps: I'm tempted to try Capture One. They look like a better alternative to LR & are leading the way? 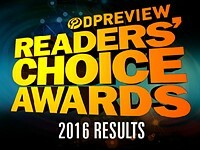 DPReview! How can you not talk to Apple!!! How inconsiderate of you!!! "I don't think the Apple coding dept., gives out their number..."
They can't because it needs to be updated every other day and it crashes most people's phones. But if they did, it would be in code. I find this sort of article very useful--putting the camera to work in the sort of setting it was designed. It is a nice complement to a formal review. 4 miles in and out is taking the camera for a spin. I wonder how the camera will hold up for entire season? I can see the attraction, but having spent a lot of time using the RX10-II for technical work (high speed video on the cheap) I would not want to get caught in a rainstorm, sweat a lot on it while hiking, get it dusty/dirty as the build quality is just not there for the rigors that hiking in the PNW put on a camera. Need to give that hike a try! My RX10 is still going strong after 2 years w/ no dust on sensor, no malfunctions of any buttons or dials - I even fell on it once, scratching the lens hood and the top LCD screen a bit. I hike mostly in the desert - high heat, lots of dust, occasional rain. I keep it clipped to my shoulder strap so I also drip sweat on it quite a bit. Granted it's not the high humidity of the PNW but still, the desert is pretty rugged conditions by any standards. 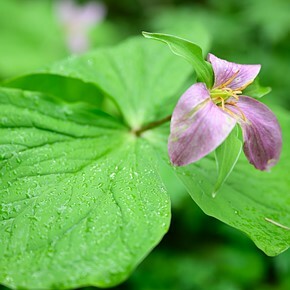 RX10's are not pro-level weather sealed but for your average hiker/photographer it is plenty tough. Good post. This is my use case for a camera and exactly why I have no interest in DSLR. I did consider a Sony A65 with Tamron 16-300, but the lens performance was simply not there. Nothing against Tamron, it's just that to have such a wide zoom range + large sensor in a small form factor requires compromises in image quality. Currently have a Panasonic FZ1000 and am mostly happy with it - I just wish it had a manually actuated zoom. The electronic zoom is not as quick/intuitive to use, and it consumes a lot of battery power. @Barney - Thank you for your narrative and samples. I'm bringing my RX10M3 from Missoula to Snoqualmie/North Bend in July. Salish Lodge and the falls, oh yeah! The PNW is definitely a treasure trove for photographers. Coming from Canon 35mm film SLR and a couple of older digital p&s this is my first bridge and first Sony for that matter. The combination of IQ, zoom capabilities and form factor has me excited to get back into a hobby that was shelved for many years due to difficult life circumstances and choices. Today, this camera is perfect for what *I need*. Many of the comments I've read so far are disappointing. I've never understood the fanboy/hater mentality. I'm as loyal to a brand as the brand is loyal to me. IMO a professional or knowledgeable amateur buys what he needs and doesn't have to defend his purchase or play the game of "my dad can beat up your dad." Gear is the book cover. What we do with the gear is the real story. Yes the fanboys on other brands love to focus on a single perceived negative and declare the camera unacceptable. Those same fanboys ignore the negatives of their favorite brand. Such it the stupidity of the web. But were the lady's feet okay after the hike? Her shoes look a bit too lightweight for the job. Ouch. 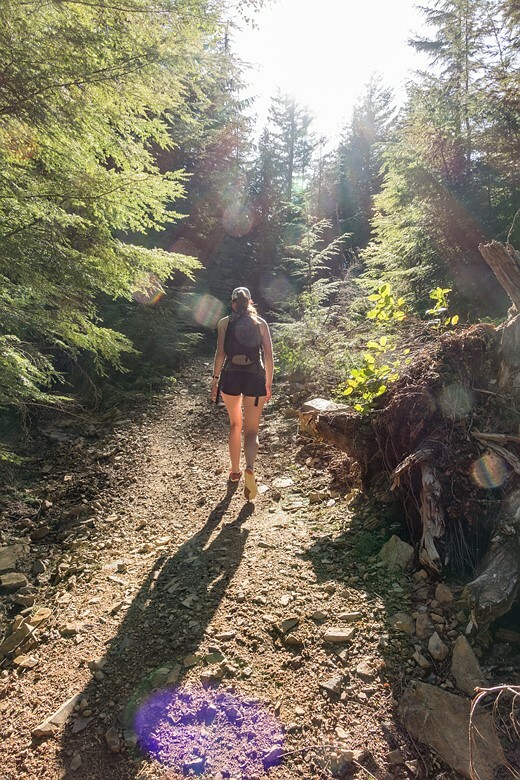 Nah, it's a fallacy that one must use heavy-weight and bulky footwear for such things - I long ago lost the hiking boots and went the light weight route - not quite as light weight as what she's wearing, but not far from it. You hike a lot your feet, ankles, etc. get in shape and you can get away with such footwear, especially on dry trails. OK, I didn't know! :) Sure would be nice to be able to hike on a lightweight pair than heavy boots! I used to think that... until I did the Inca Trail hike to Macchu Picchu (three 10 hour hikes up to 14,400 ft). I did it in trail runners since I was only carrying a day pack, our Peruvian porters were all carrying 20 kg pack (maximum allowable limit, they actually have weigh stations to make sure) in homemade sandals. Personally, I found if you have good strong ankles and you aren't carrying a heavy pack that can throw you off balance... you can basically wear anything on your feet (five fingers, running sandals, etc) as you like. If anything trekking poles are a better protection for your ankles. I've been using ultra light trial runners with a 25+ kg (60+ lbs) backpack off trail in Alpine terrain since 4-5 years and suffer less fatigue and sprained ankles - and I have pretty weak ankles. No more heavy boots for me, thank you. But don't your foot soles get killed from sharp little rocks on the trail like the ones in the 2nd photo? @MikeDPR Not really. You definitely feel the rock, but it isn't painful. When I went to Iceland, my luggage got lost by the airline so I didn't even have my trail runners. I ended up hiking volcanic rock in my Patagonia Loulu loafers (my comfy plane shoes), which have a rather thin 4mm sole until my luggage caught up with me. My feet were definitely tired at the end of the day, but it felt more like an intensive foot massage than spikes in my feet. For painful feet on sharp rocked trails, I use a pair of gel insoles of brand name... I have not a clue. Picked them up eons ago and they are a miracle. PS. I do snow in tennis shoes and water proof socks combined with crampons and gaitors just fine. Only time I take "real" boots is if I know I will be on continuous snow for more than 2 days 24/7 and in very icy conditions on peaks where if I slip I die. I prefer approach shoes for hiking and well just about everything. Footbed is so much stronger/stiffer to keep the pads of feet protected, great soles, super tacky rubber for climbing on rocks.... look em up :).